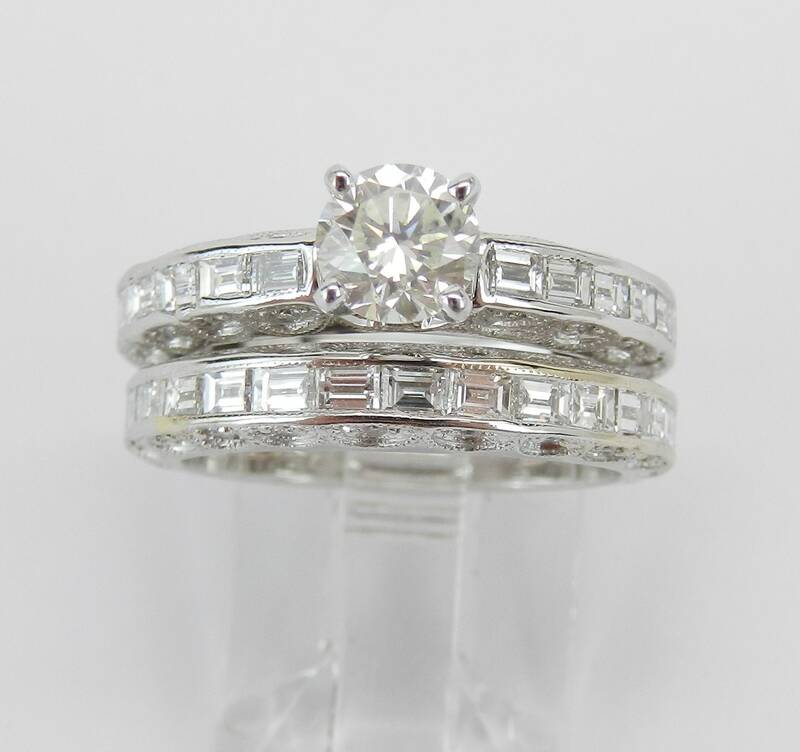 18K White Gold 2.16 ct Diamond Engagement Ring and Wedding Band Set. 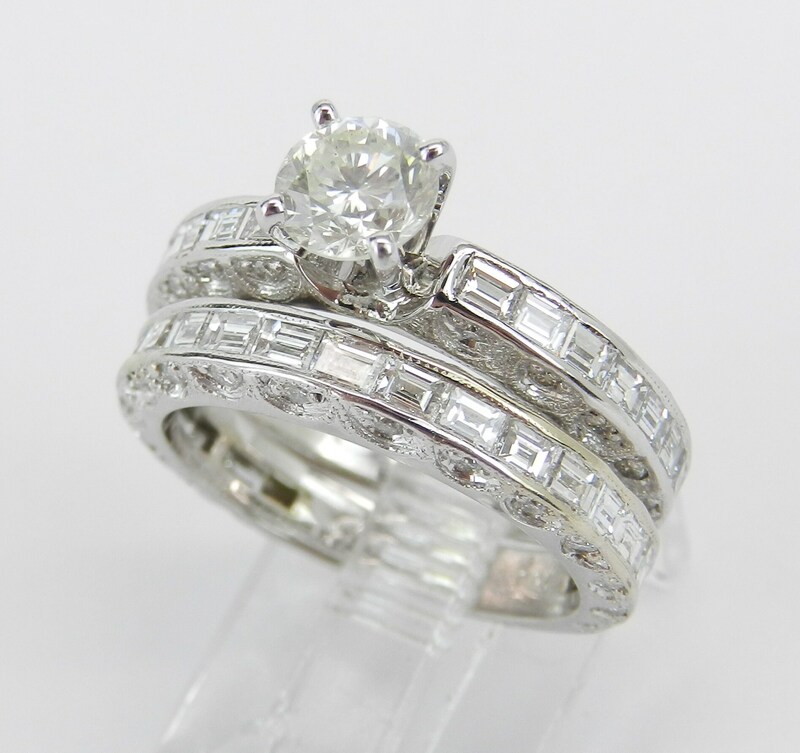 This engagement ring is set with one genuine Round Brilliant Diamond in the center. This Diamond is very sparkly and brilliant, H color, SI2 clarity and weighs .71 carat. There are also twenty-eight natural Round Brilliant Diamonds and eighteen Baguette Diamonds set in the engagement ring. These diamonds are G color, SI/VS clarity and weigh a total of .70 carat. 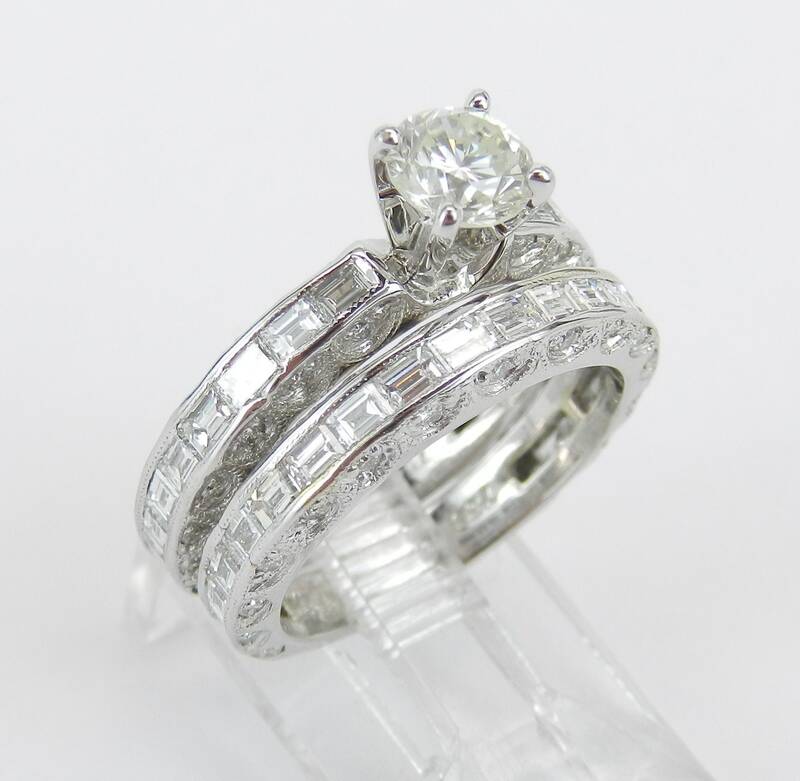 The matching wedding ring is set with thirty genuine Round Brilliant Diamonds and nineteen Baguette Diamonds. These diamonds are of a matching G color, SI/VS clarity and weigh a total of .75 carat. 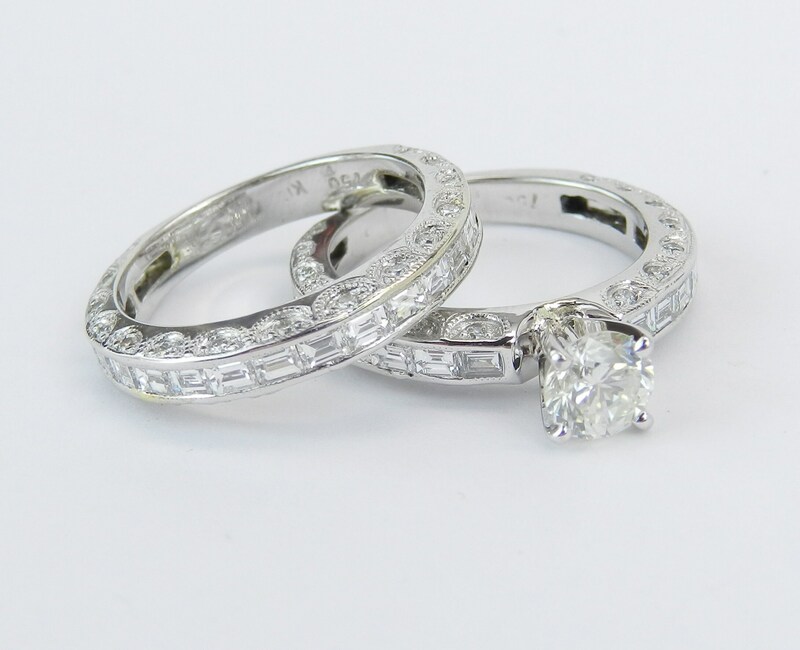 The total diamond weight of these rings is 2.16 carat. 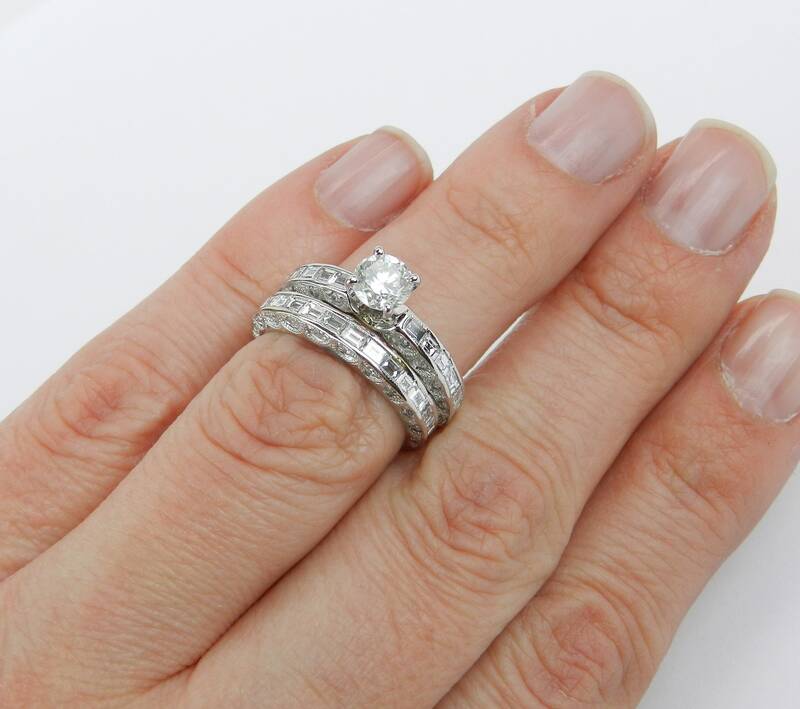 Both of these rings are 18KT White Gold, weigh a total of 7.2 grams, measure 7 mm in width and are a finger size 5 1/2, can be slightly resized (please inquire about sizing with the finger size you need). 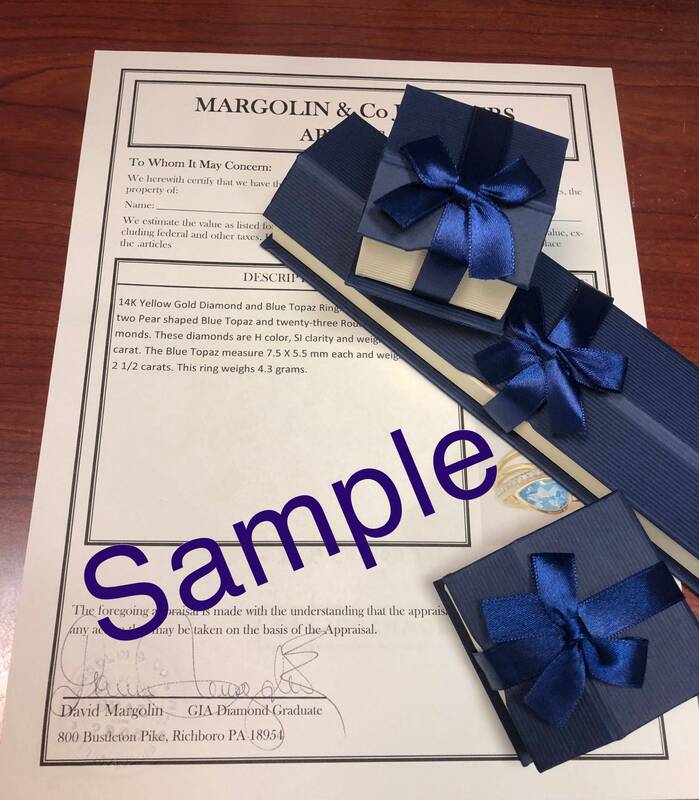 These rings will be accompanied by an appraisal by a GIA Certified Diamond Grader with the retail replacement value of $7,865.00. I will ship these rings promptly in a beautiful gift box.